Group of two (2) Luigi Kasimir (Austria, 1881-1962) color etchings. 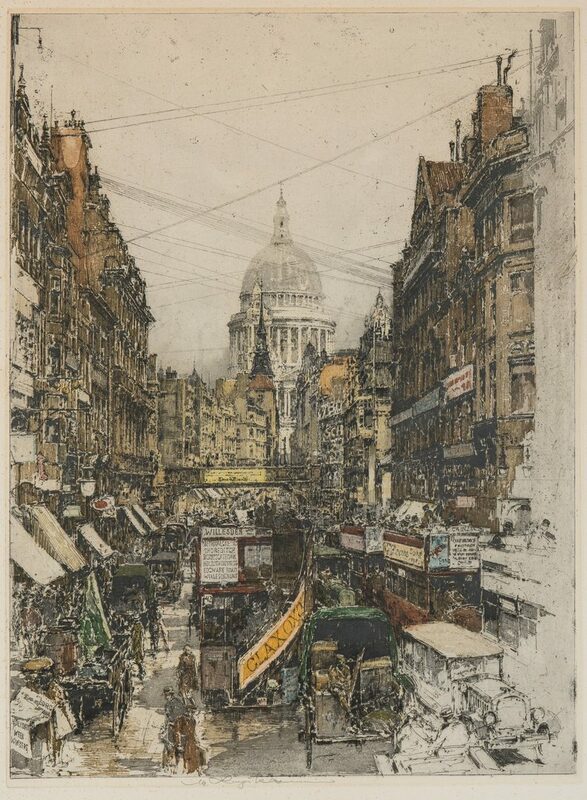 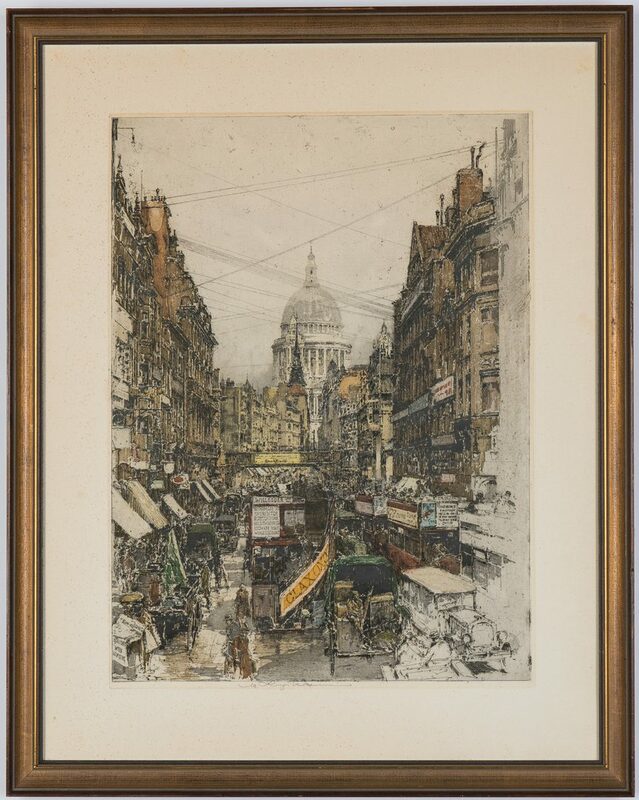 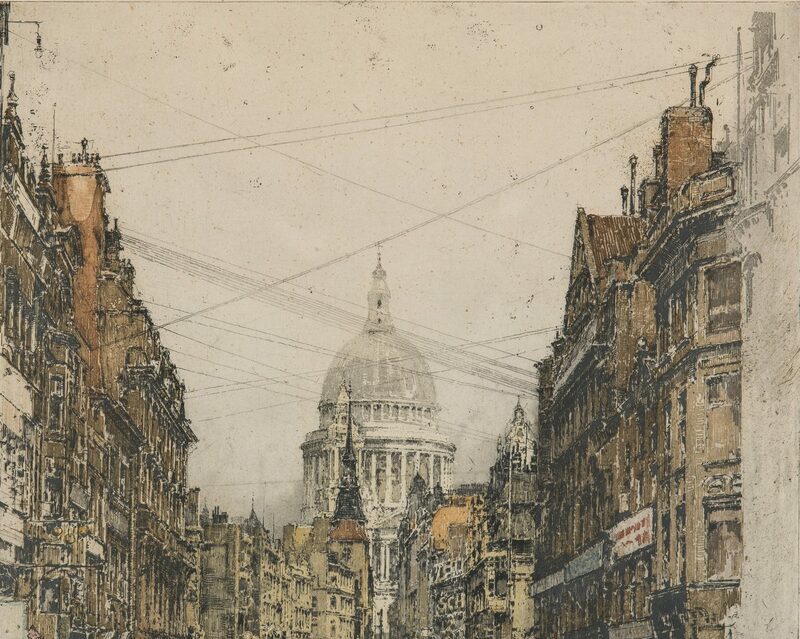 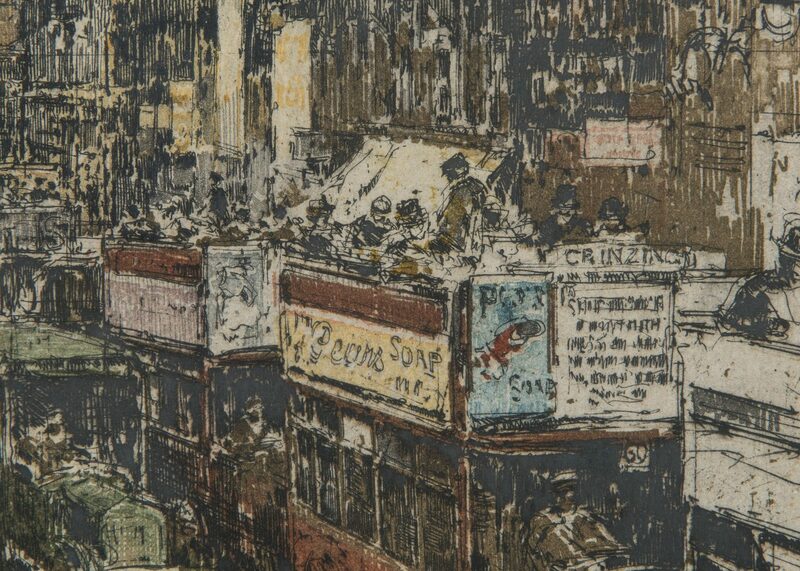 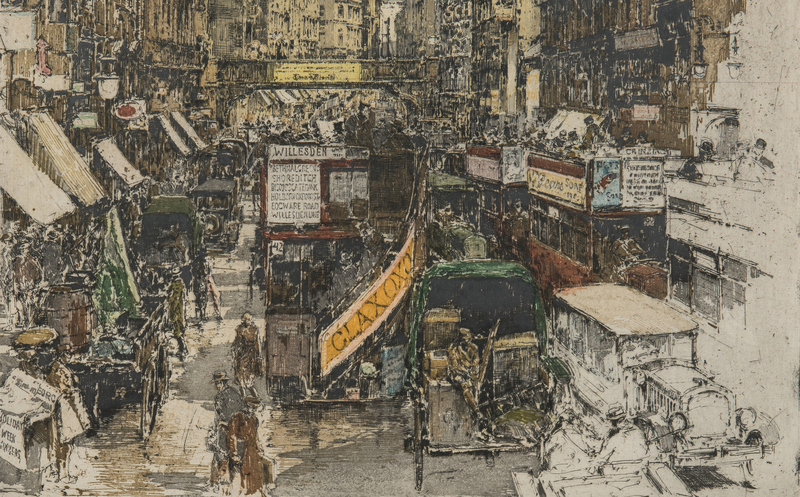 1st item: "Fleet Street, London", depicting busy London business district, estate signature, pencil signed lower center. 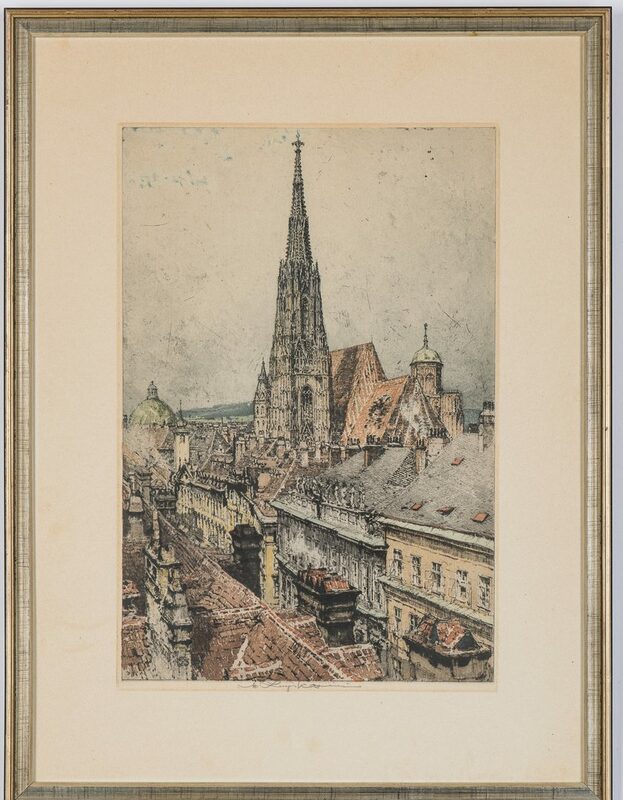 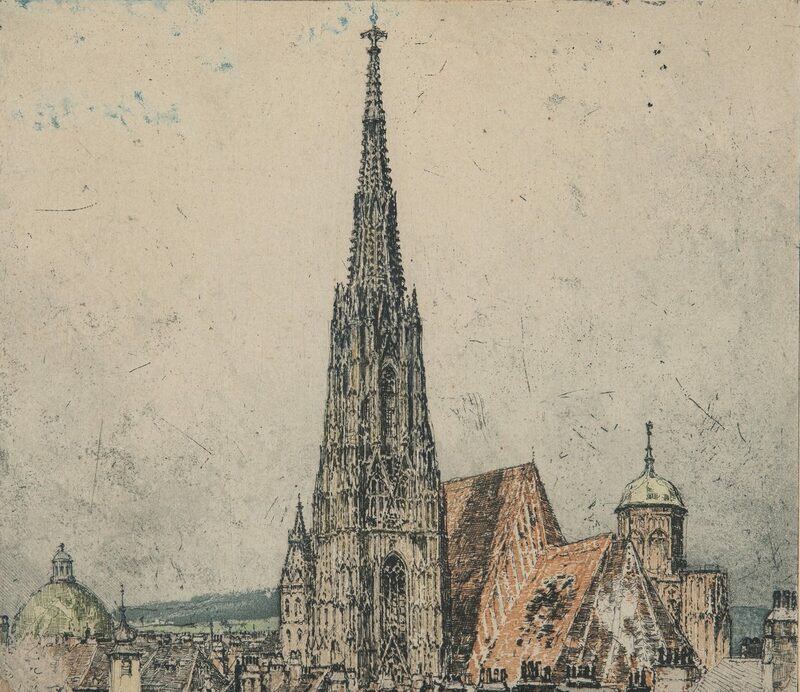 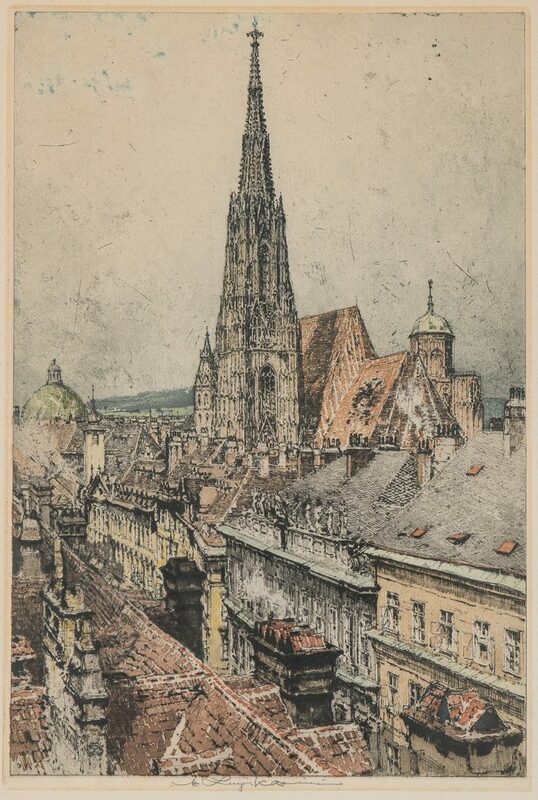 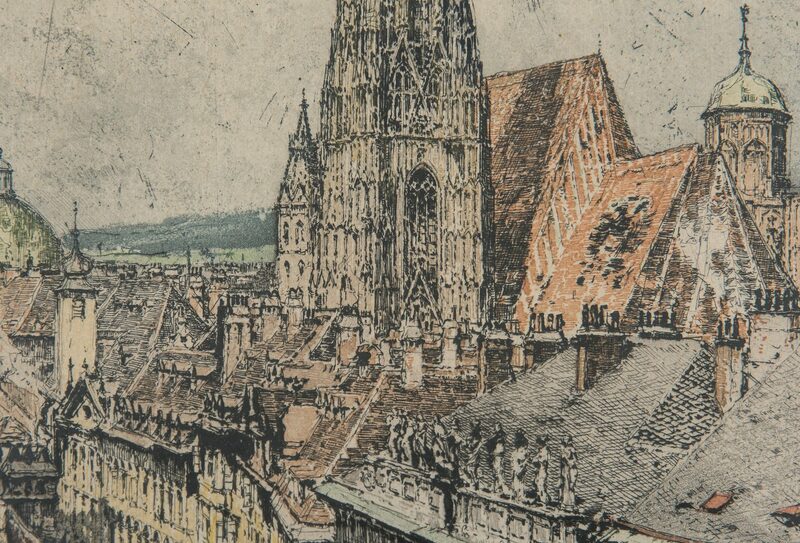 Plate – 21 1/4" H x 15 5/8" W. Framed – 28 3/4" H x 22 3/4" W. 2nd item: "Austria, Vienna, St. Stephen's Church", depicting view of St. Stephen's from neighboring rooftops. 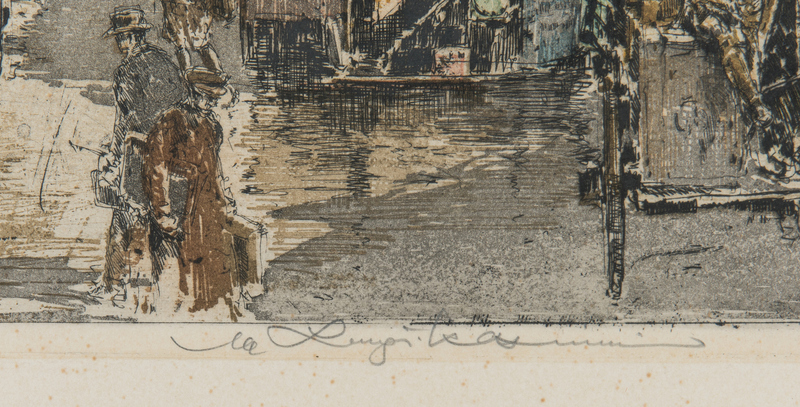 Estate signature, pencil signed lower center. 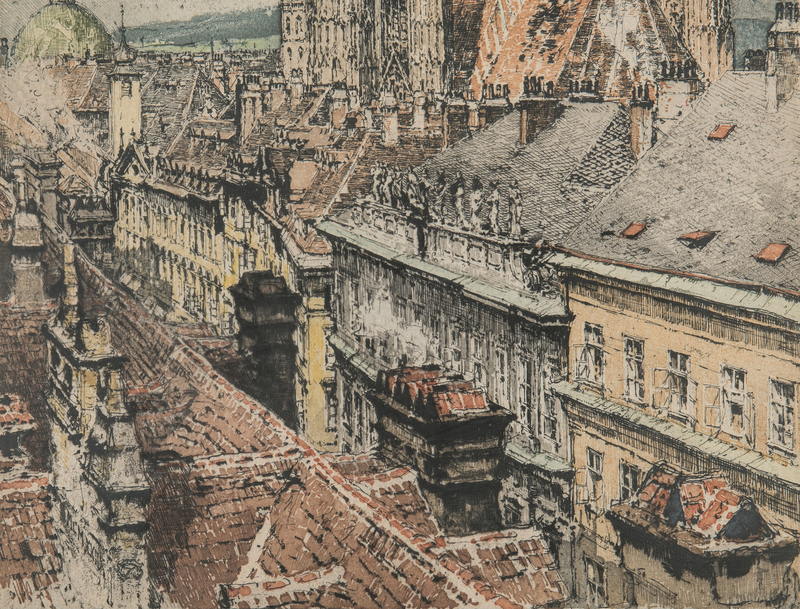 Plate – 15 3/8" H x 10 5/8" W. Silver and gilt frame – 22 3/8" H x 16 7/8" W. Both etchings 2nd half 20th century. 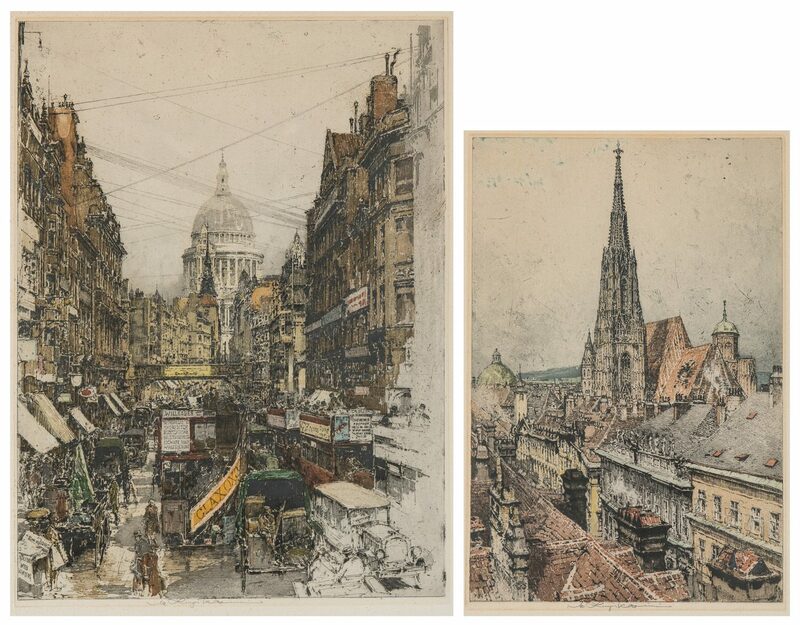 CONDITION: Both images in overall good condition with minor toning to paper.